WE CAN’T END THE WAR, BUT WE CAN SHAPE THE FUTURE. WE WILL BUILD 10,000 LEADERS IN 10 YEARS. JOIN THE MOVEMENT. Karam Leaders are problem-solvers, change-makers, innovators, and are driven to serve. They understand technology is a tool not a solution. They know they must build ideas together. They know that they must be positive contributors in their host communities. They are not passive bystanders. They have the agency, skills, and courage to make social change. They are community organizers, entrepreneurs, teachers, designers, journalists, writers, artists, inventors, engineers, story-tellers, and scholars. They will build the future for themselves and the generations that come after. how do we build leaders? Our complementary programs empowering refugee youth and children create multiple pathways to leadership - Syrian refugee youth participating in one program have the chance to participate in others. Together, they provide all-encompassing support - a response to several barriers that Syrian refugees face by relieving burdens now, as well as allowing for opportunities to build for the future. 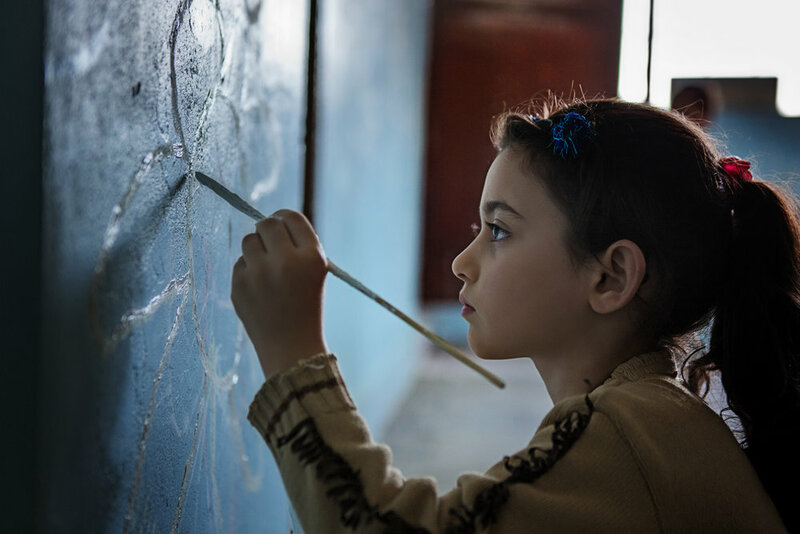 Sponsor a Syrian Refugee Family is a Smart Aid program offering a monthly stipend on the condition that families send their children to school. Karam House is a community innovation center where Syrian refugee youth learn critical thinking and problem solving through design-based studios. Karam Scholars provides Syrian refugee students in Turkey, Jordan, and the US with gap funding and tuition assistance to access higher education. INVEST IN SYRIA’S FUTURE. BUILD WITH US. JOIN THE MOVEMENT TO BUILD 10,000 LEADERS IN THE NEXT 10 YEARS!